Nebula™ MultiStage Biofilm System FAQs - Aquarius Technologies, LLC. 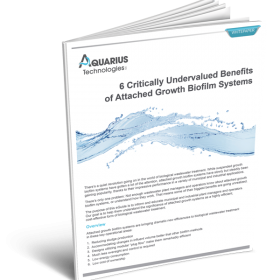 Attached growth systems (AGS) are one of the most cost-efficient methods of biological wastewater treatment on the planet. Yet they aren’t as well known as some other technologies like suspended growth systems and moving bed biofilm reactors. How do attached growth systems minimize sludge production? The Nebula MultiStage Biofilm System, uses a proprietary plug flow process with multiple stages to progressively biologically treat wastewater. Each treatment stage utilizes stationary biofilm media and creates a unique environment for developing different microbial populations. Successive stages of biofilm media create separate microbial living conditions and food sources within the process, resulting in a highly effective food chain. When design for sludge minimization plants have reported up to 80% less sludge than suspended growth systems. How often do the biofilm media racks need to be replaced in an attached growth system? The media is estimated to last for ten years or more. Its only maintenance is periodic in-situ air scouring in place. Why are attached growth systems able to accommodate large variations in hydraulic flow and loading? Many biological wastewater treatment systems are faced with highly variable waste stream characteristics (flow and/or loadings), which limit their efficiency. Flows greater than the design flow can result in microorganisms being washed out of the system. As the loading increases or decreases, the adjustment of higher or lower levels of microorganisms requires time. Depending on the severity of the increase or decrease, reduced efficiency and potential settling issues can arise. Because the microorganisms are attached to the media in a biofilm system, they are not susceptible to wash out with increased flows. Also, attached growth biofilm systems typically have a greater mass of microorganisms, making them better able to handle organic load increases. How much operational oversight does an attached growth system require compared to existing wastewater treatment systems? Attached growth systems operate with less operator intervention and monitoring and generally use simple, low maintenance equipment. As a result, their operating costs are significantly lower than suspended growth treatment systems. Other processes to fine tune performance. All of these require a significant amount operator time and attention. In addition, activated sludge plants sometimes experience periods of poor performance due to poorly settling solids. During these times, the operator must take steps to respond that often involve even more closely monitoring plant conditions. In general, this type of biological wastewater treatment system requires additional energy, operational oversight and maintenance to produce the desired effluent quality. That adds up to higher operating costs. How much maintenance does a Nebula MultiStage Biofilm System require? The process has few moving parts and therefore is low in maintenance. The biofilm media racks are maintained in-place during an in-situ air scour procedure, if required. Based on actual operating systems, the media has demonstrated a life of more than a decade. Replacement parts are associated with the fine bubble aeration system’s diffuser elements, which are typically replaced every seven to ten years and for routine blower and pump maintenance. Does the Nebula MultiStage Biofilm System have a track record of success in municipal and industrial applications? NEBULA™ MultiStage Biofilm System Upgrades Nitrification and Reduces Sludge Production – The Northern Moraine Utility Commission (NMUC) in Glenbeulah, WI. Wastewater Treatment from Specialty Cheese, Reeseville, WI. Is it time to consider the Nebula MultiStage Biofilm System? Absolutely. A well-designed biofilm system offers numerous advantages that can help you reduce the operational costs and increase the efficiency of your wastewater treatment plant. Check out this learning opportunity. Don’t miss this learning opportunity to understand more about this quiet revolution that is going on in the world of biological wastewater treatment. This entry was posted in Systems and tagged attached growth system, multistage biofilm system, Nebula. 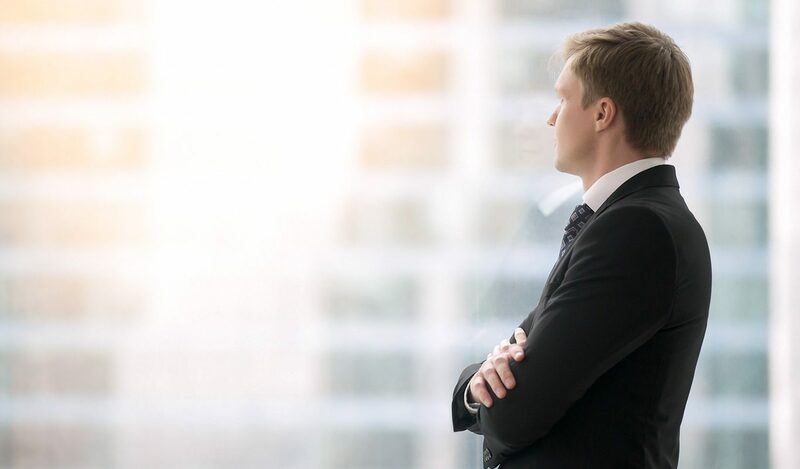 Are You Prepared For The Future Of Wastewater Treatment Regulations?